If you’re anything like me, you share things on different social media channels the same way you tell stories to different members of your family. For example, if you’re telling your history buff of a wife about your recent business trip, you’ll likely talk more about the monuments and museums you visited. Your kids would rather hear about what you did for fun, and your grandparents would only care whether you ate and slept enough. Your parents would ask how much money you wasted. It’s the same story, just with different aspects emphasized. It’s the same for your social media audiences. 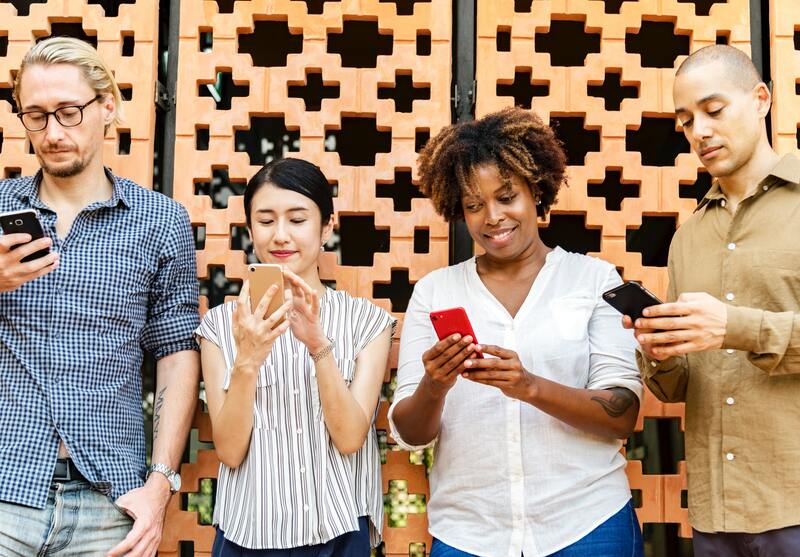 Marketers naturally consider the audience they’re addressing and tailor the story to keep its members’ interest — which is the point of using multiple social media channels. You wouldn’t bore your grandma with history lessons, just as you wouldn’t publish content-heavy posts on Instagram. In either case, you’d lose your audience before you finished a sentence. 1. Show love on Facebook. Facebook is the mom of social media sites. No matter how busy life gets, nearly everyone checks in to see how the family’s doing, to catch up with old friends, and to share their lives. According to a Pew Research Center survey released earlier this year, 68 percent of U.S. adults online are on Facebook regularly. Those who use the platform daily spend an average of 41 minutes a day scrolling through their feeds, making it second in popularity only to YouTube. Facebook’s popularity and its keeping-in-touch purpose allows brands to easily relate to their audiences on a personal level. A Facebook strategy should be a long game. Post family-friendly content about your brand that relates specifically to different Facebook groups and interests. Engage with consumers by liking and sharing their posts that relate to your brand’s values and messaging. On Facebook, your goal is to be part of the family. 2. Show off on Instagram to your Social Media Audiences. Instagram is the cool older sibling in social media land. It’s the one you always want to one-up because it impresses you most. In the same Pew survey, Instagram came in just behind Facebook in popularity, with 35 percent of online adults signed up. That equates to an audience of more than 800 million regular users. Unlike Facebook, though, Instagram is where you go to show off the innovative, catchy, fun, and trendy sides of your brand. The point is to catch the eye of consumers and companies you want to do business with. Therefore, your Instagram strategy should be flashy. Get attention first, and then reel in your audience members with more information once they’re interested by placing in your bio the links to your website and blog. 3. Showcase your business on LinkedIn. LinkedIn is the no-nonsense dad of your social media audiences. While you’re catching up with Mom and bragging to your siblings about your new gadgets, Dad sits and reads the paper. Today, LinkedIn is that paper. According to the Pew Research Center, 67 percent of Americans say they get news from social media, and LinkedIn is made specifically for that. No fluff, no flash, all business. It’s a specific niche that’s ideal for highlighting the nuts, bolts, and innovations behind your brand. Your audience is there to learn about you and your product, so your strategy shouldn’t be flashy and doesn’t have to be overly familiar. A healthy 50 percent of Americans with college degrees use LinkedIn, so you can fully display your knowledge — jargon and all — to showcase your abilities. 4. Share your wits on Twitter. Twitter is the younger but smarter sibling in your social media family. At some point, it became so witty and intelligent that you couldn’t ignore it anymore. Now, you find yourself matching wits and sharpening your own intelligence every time you interact. On Twitter, sharing that knowledge with strong keywords and hashtags is the best way to speak to this part of social media audiences. The fact that you have only 280 characters to share your thoughts on Twitter makes the platform the perfect proving ground for your content. It challenges you to share your message in the most attention-grabbing manner, with a built-in fail-safe against rambling. Your strategy, then, should be to consider every post in terms of what you can teach your audience and to save the more complex content for other platforms. Collectively, social media platforms are today’s most vital marketing tools. Tailoring content to each platform can seem daunting, but learning to do it well is essential. If you consider the strategies you use to keep your real-world family’s attention, you’ll find the perfect marketing blueprint to engage social media audiences. How have you used different social media platforms to get your message across? Let us know in the comments. This article was originally shared on TheMarketingScope.com on 5/16/18.